“Had Syria not assumed pariah status in the eyes of some, the Grand Colonnade of Apamea would be considered among the ‘100 noteworthy monuments of the world’. The history of this ancient city, the ruins themselves, as well as the stunning landscape they overlook give reason to approach Apamea with a sense of awe. Apamea’s history reflects that of Syria: waves of invasions and occupations, the waning of empires and the destructive power of natural forces. Like Syria itself, Apamea was at a strategic crossroads and suffered from the vicissitudes of various powerful forces in distant cities. In the 3rd century BC, the settlement at Apamea came under the control of Seleucus 1, once a general of Alexander the Great and later the ruler of an empire that stretched eastwards into what is now Turkey, Iraq, Syria, Iran, Pakistan and Afghanistan. Seleucus named the settlement Apamea after his Persian wife. It became the imperial army headquarters. For some time, ancient Apamea was a bustling, colorful city with a population estimated to have reached 500,000. However, modern visitors might be more impressed on hearing of the 30,000 horses and 500 war elephants that were kept at Apamea. General Pompey seized Apamea in 64 BC, and Mark Antony and Cleopatra were among the visitors to the city. The Romans built the Grand Colonnade, but it was not on standard Roman architectural lines, having distinctly Syrian features. The Colonnade and the theatre in Apamea, one of the largest in the Roman Empire, pointed to the fact that great wealth was being generated by Syria. At the same time, Syrian families had risen to power in Rome, which meant the country of their birth benefited from their influence. 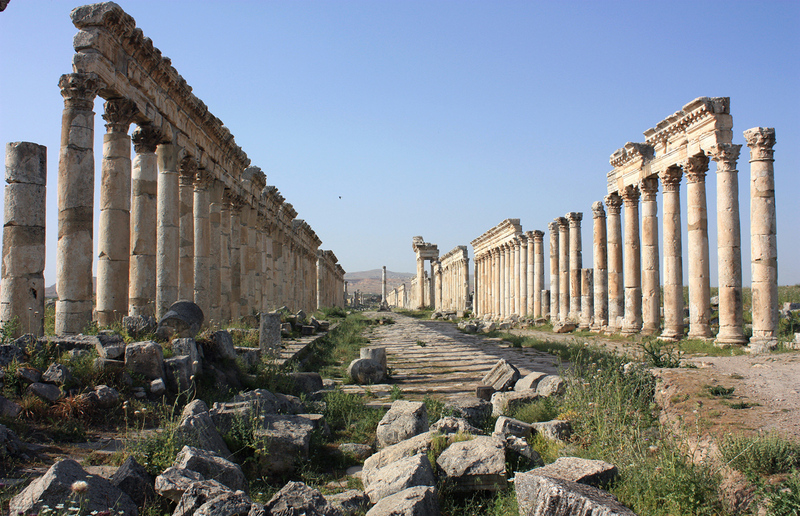 Both courage and treachery are evident in the details of Apamea’s history. Apamea was once the base for Bassus, a Roman knight who stood against Julius Caesar only to be defeated by Cassius, while, according to Flavius Josephus, a first-century Jewish scholar, during the Jewish-Roman wars, people in Apamea ensured that the city’s Jewish inhabitants were neither killed nor held captive. 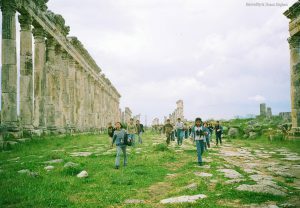 Over the centuries many occupiers, including Persians, Crusaders, Arabs and Turks walked down Apamea’s Colonnade. The incursions of the Mongols into Syria in the 13th century may have provided a chance for Mongolian troops to view what remained of Apamea after a devastating earthquake in 1152 severely damaged many of the grand edifices of this former imperial outpost. 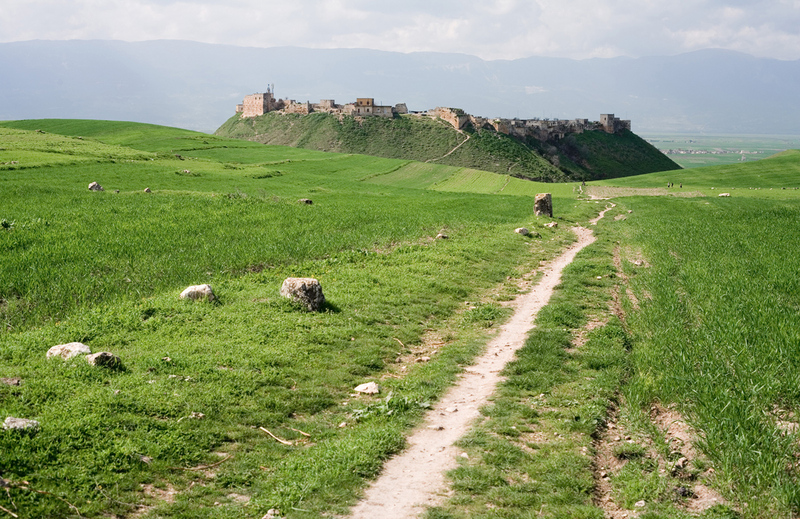 In its humbler times, Apamea became a popular stopover for pilgrims on their way to Mecca. Apamea illustrates how for thousands of years, Syria has been a battleground for empires, and the DNA of modern Syrians would reflect this. The country has had a glorious and bloody history. Its people have confronted tremendous suffering and assaults over the centuries, blood has been shed and bloods have mixed. All of this would link Syrians to most corners of the earth. Susan Dirgham is an English as a Second Language Teacher. She taught at the British Council in Damascus for 2 years. Her classes at AMES Australia have included Syrians on humanitarian visas. Susan is a keen photographer. She has a Bachelor of Arts from Melbourne University.